A very old image from 2009 at the Bodleian Library of my alma mater. My Email School of Photography is a personally tailored correspondence program to assist you with improving your image making skills, at your own pace, no matter what your skill level. I’ve had approximately 200 students in total and about 50 who are still currently at various stages of completion. 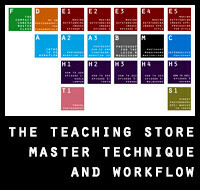 A lot of my students go on to join me for workshops or Masterclasses, and vice versa – a workshop is a great way to accelerate what you’ve learned in the Email School, and the Email School is a great way to continue the learning post-workshop especially for topics that might require a bit more contemplation and iteration. Thanks to a couple of coincidences of timing (more graduating assignment submissions than people on the waiting list and fast completers) I have one spot available for the Email School of Photography open now – details of the program follow after the jump. I’ve never advertised this mentoring program much simply because I rarely have any free slots to offer! 1. Determine what your final objective is – it can be as simple as ‘I want to make photos like this’ or as detailed as ‘I want to refine my wildlife photography technique’. You can pick stuff from my flickr portfolio, or anywhere else off the web. Please give me an idea of what you would like to achieve before we start so I can tell you if it’s realistic or not, and whether this is the best way of getting there. 2. Select a portfolio of your 10 images most closely matching your objective with a quick sentence or two on why you think they’re good – this helps me to gauge where you are, what you’re seeing, and what you’re trying to achieve. If you have a gallery online, send me the link to that, too. 3. I’ll then come back to you with a quick portfolio review and a lesson plan to bridge the gap between 1. and 2. This will only be about half of the course, because it depends on how you’re progressing and what other aspects need work along the way. 5. Students have a year to finish all of the assignments, which is generally double what they need in practice – but this depends of course on how much free time you have to put to it. After that point, fees will be forfeit. 6. “The Fundamentals” and “Making Outstanding Images Ep.1” now form the introductory portion to the course. You will need to watch those before submitting your first assignment. 7. If you don’t already have those two videos, the price of the course, inclusive of two videos, is US$900. If you do, it’s US$800, as before. Both packages include one portfolio review and nine lessons. 8. Cancellations – before the program starts/ any videos or portfolio reviews are performed, there is no refund penalty. A high level of commitment is required on the part of both the student and the teacher, which places demands on time; as such, after the program starts (i.e. portfolio review and videos are sent) refunds are not possible. please send me an email using this link with your rough objectives – there are some things which cannot be taught remotely (e.g. how to pose a model, or speedlights, for instance) and I want to make sure we can meet your expectations. Ignacio Larrain (Email School of Photography): I enrolled into Ming’s email school after being amateur and self-taught photographer for decades. Ming’s email school helped me tremendously improve my photographic skills by his very structured step by step approach. Ming amazingly finds the time to give feed-back on the assignments submission with almost no delay, be ready to receive his very straight-forward and always relevant feedback on your work. That has been for me the improvement engine. I would love to do this amazing sounding course … but funds at the moment don’t permit, sadly. Do you do any other kind of distance learning course that might cost a less? Sorry to ask such an impudent question! Thanks sir! You’re quite right. It’s great to find someone taking a deliberative and rigorous approach to photography – much like in the academic way I’m used to. Dear Ming, this sounds really cool and I would love to take this kind of workshop one day (too busy at the moment with work and 2 year old little girl). If possible please put me on your list of future candidates. Hi Ming, throw me on your waiting list, I’ll send an email in the next few days after I’ve had a think about where I want to get to.